This gallery includes recent photos of Freetown and the Western Area. Photos by Peter C. Andersen. This photo gallery includes pictures of draw-chain fishermen, the historic Cape Lighthouse, and more. Photos by Peter C. Andersen. Photos from Makeni, Magburaka, and elsewhere in Sierra Leone's Northern Province. Photos by Peter C. Andersen. Ending a voyage of 14 months, and symbolising 168 years of history, the Amistad Freedom Schooner, a reproduction of the slave vessel La Amistad, was welcomed at Government Wharf in Freetown on 9 December 2007. The ruins of the historic slave trading fortress at Bunce Island, off the coast of Freetown. Sierra Leone's railway was discontinued in 1975, but some of the steam engines and railway cars that ran from Freetown to Pendembu and Makeni can be seen at the National Railway Museum in Cline Town. The car which Queen Elizabeth II was to have used during her 1961 visit has been restored and is on display. The Queen never used the car - she had a change in schedule. Dr. Cleaver Keenan served in the Sierra Leone Medical Service from 1956 to 1960. He has contributed a selection of photographs he took in 1958 during his posting as Medical Officer on Bonthe Island. Kono District is known for its diamond mines, but also for its agriculture and its beautiful mountainous landscape. Koidu (or Sefadu), before the war Sierra Leone's second most populous town, suffered massive destruction as a result of the conflict. It is only now beginning to recover. Photos by Peter C. Andersen. Photos scanned from slides taken around Sierra Leone in the 1980s. Photos by Peter C. Andersen. Herbert Ralph Glover was born in Sydney, New South Wales, Australia in 1890 and died there in 1966. He served in the Australian Imperial Force During World War I (1914-1917). In 1917 he sailed on board the "Benalla", which left England on 25 August and arrived in Sydney in October 1917. 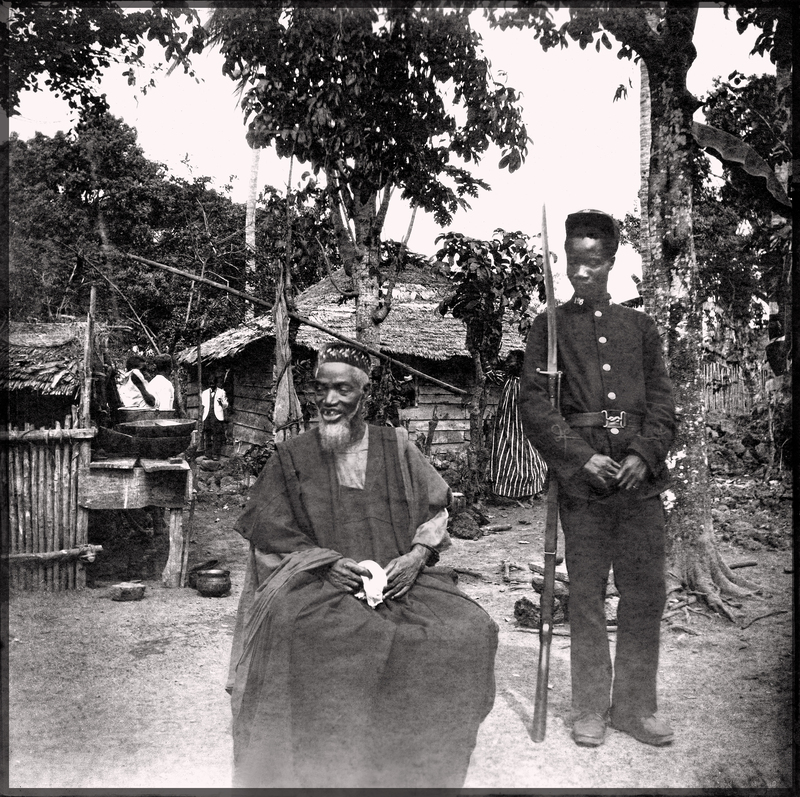 These pictures were taken in Freetown, probably in September 1917. They were provided by his granddaughter, Lorna Humphreys.